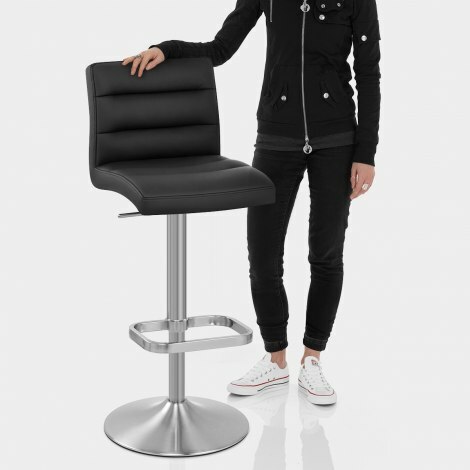 The Lush Brushed Steel Bar Stool Black speaks volumes of contemporary style and class. Luxury and beauty are what the Lush displays, ensuring it will be the focal point of any interior. 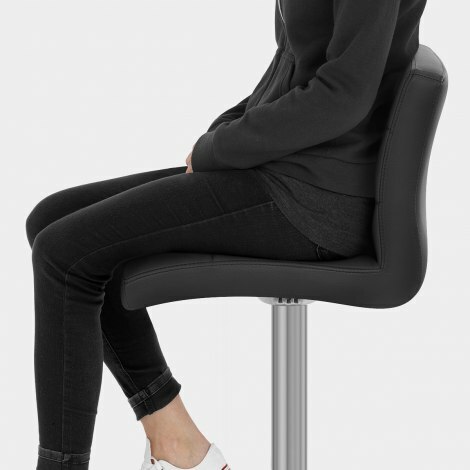 With a spectacularly padded seat and supportive high backrest, users will experience pure comfort and relaxation, even with long periods of use. Upholstered in timeless black faux leather, the horizontal stitching delivers quality and panache. Beneath the seat is an elegant brushed steel frame, with a stylish rectangular brushed steel footrest midway down. Plus, for added ease there is a variable height gas lift and 360 degree swivel. There is also a protective rubber base to protect your floor from potential scratches and scuffs. "Excellent bar stools, very good quality"
Comfortable stool, padded well.. Arrived very quickly. Nice looking stool.. Good price on this item.. Ordered two bar stools which were very nice but didn’t fit in with surroundings. Quick phone call and arrangements made to pick them up the following day and two different bar stools ordered for next day delivery. All went according to plan and refund arrived within a few days. New bar stools look great and really comfy. Order, return, new order and refund all within a few days which makes for excellent service. Definitely recommend this company. Bought two of these luxury bar stools as a Christmas present for our son and family. We had already purchased two for ourselves 6 years ago and have been so pleased with them. The new ones look fabulous in our sons extended kitchen. Quality, delivery, packaging, and service all excellent. Thank you so much. Want the Perfect Stool ? 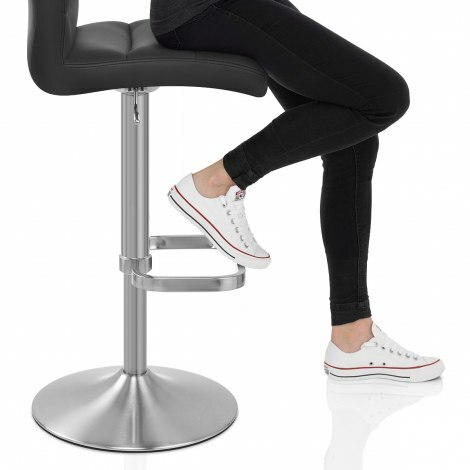 These "Lush" bar stools are very well put together, extremely comfortable, and look great ! These are the second set we have bought - the last ones were sold with the house, when we moved. I wouldn't hesitate to recommend these lovely stools to anyone. Very speedy delivery and the product was easy to assemble.